Welcome! My name is Anne and I live on the Sunshine Coast, Queensland in Australia. My small business is The Micro Gardener. Finding out I had cancer in 2004 was the catalyst for a return-to-health journey, finding my life’s purpose and creating this website. My passion is teaching people how to grow good health to prevent a major health crisis like I experienced. With nutrient-dense food gardens that feed your mind, body and soul. In my story, I share what’s wrong with our food system and why we all need to change our thinking and eating habits for long term health … and what YOU can do to improve your own health right now. 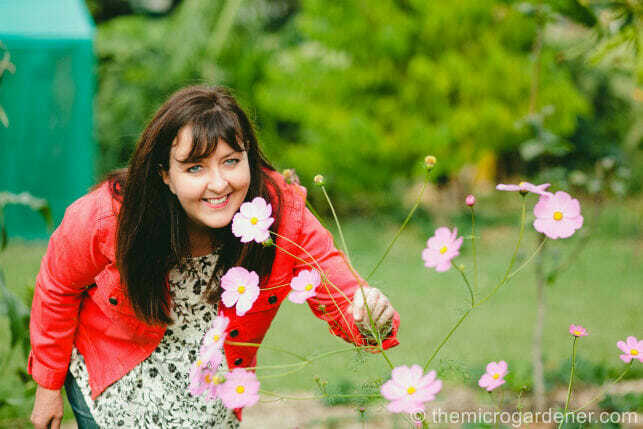 I haven’t always gardened in small spaces … I grew up in suburban Sydney, Australia on a quarter acre block. At a time when the two major supermarkets, Woolworths and Coles, did not exist. The major shopping centres had not been invented yet! Food came from the vegetable garden and fruit trees in our suburban backyard. We visited local farmers for fresh milk and seasonal fruit we didn’t grow. Pets were a flock of clucky chooks. They provided eggs, chicks and endless entertainment. Plus plenty of manure as free fertiliser for the garden. Mum’s pantry was full of home preserves from the garden. She bottled our surplus fruit and vegetables. She made jam, relish and meals from scratch. Our food budget was minimal because our family grew most of its own needs. 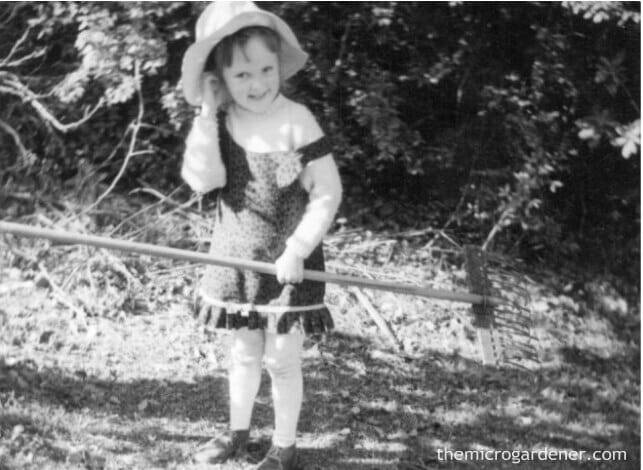 Gardening at a young age was encouraged when I grew up. Dad was big on composting all our fireplace ash, garden prunings, grass clippings and food waste. So we had a very healthy garden with all those nutrients being returned to the soil. Nothing went to waste. Everything was repaired, reused and recycled … or composted! Dad’s philosophy has always been to make, improvise or creatively repair something, rather than buy new as a first option. This philosophy strongly influenced my thinking. To try to tread lighter on the planet whenever possible and make sustainable choices. I can’t say I garden these days in a dress and stockings! I learned to taste and enjoy a wide variety of fresh fruit, vegetables and herbs. Likely, because I was exposed to them at a young age. OK, I admit my taste buds decided Brussels sprouts were a ‘no go zone’ but that’s the only vegetable I really don’t enjoy! I was also encouraged to actively and creatively play outdoors every day. 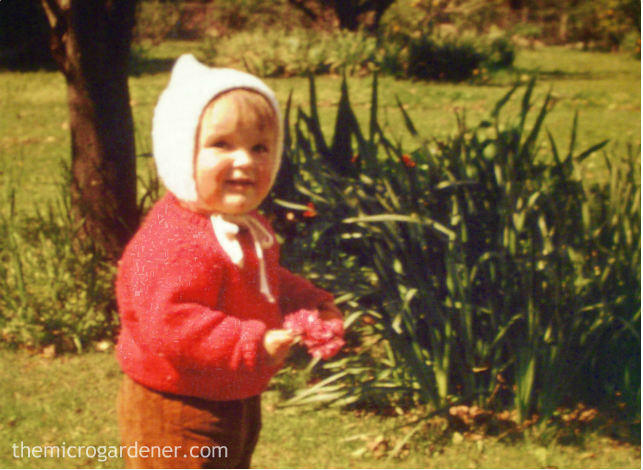 As a child, I delighted my imagination with nature crafts, picking flowers, caring for pets and enjoying the garden. While I was at school, I spent most of my free time outdoors. Enjoying fresh air, safe food and in tune with the sounds and tastes of nature. These all had a strong influence on me. I regularly stayed at my grandparents’ farm on the central coast. They lived frugally but still abundantly. I loved picking wild blackberries, collecting eggs and helping in the garden. We went bush walking and exploring rock pools at the beach. We’d often come home with a big bag of sea shells, sticks, bark, interesting stones or other nature collections. These were used in art and craft projects. Nana patiently taught me bird and plant names. I soaked up her nature and art lessons. This helped me develop a love of colours and natural textures. I’m sure later in life, this influenced my desire to study art and interior design. Mum’s knowledge about many aspects of healthy living and wellbeing, had a strong influence through my formative years. This was reinforced with my experiences at my grandparents’ farm. Whilst I took these influences for granted as a child, many years later I realized not everyone has had this same opportunity. After leaving home and entering the workforce, the lure of the first major shopping centre with a ‘one-stop shop’ message, was a seductive magnet. I took my first steps towards becoming a ‘convenience consumer.’ I gradually became disconnected from the source of my food, buying it instead. Not fully appreciating the gift of my heritage, I became distracted with the busyness of life. The endless variety of supermarket food and time-saving pre-packaged products on offer, made it easy to save time after a busy work day. However, I didn’t stop to think about the consequences of the choices I was making. Sooner or later there was going to be an accounting. In 2004, with a young family of my own, I was shocked to be diagnosed with cervical cancer. I had taken perfect health for granted for a long time. This was a wake up call that changed my paradigm on everything. I was under a lot of stress. My immune system was compromised. However, I had a strong determination to regain my health. I wasn’t given a good prognosis, so things needed to change fast. After surgery, natural treatments and rest during recovery, it was a time to reflect on the choices I had been making. Where our food came from, our lifestyle, home environment and products we were using. We made some BIG changes. Maybe you can relate to my story. If you have a health challenge or know someone who does, it can be a scary place to be. You can be re-active or pro-active. I reduced stress, detoxed my body and life (including toxic people!) and had daily nature therapy outdoors. I began researching ways to make more informed decisions for our family. I empowered myself with information. I invested in my own education to learn learn learn. I decided to get back to my sustainable organic heritage by growing safe healthy food in our own backyard. 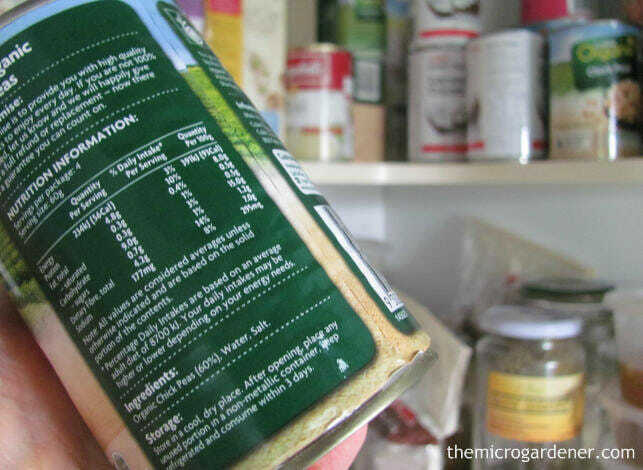 I started diligently reading the fine print on grocery items. I audited our pantry. I made tough decisions to source clean, safe, local, GM-free and BPA-free products from ethical companies. I began asking questions about food, talking to farmers, producers, value-adders and retailers. I subscribed to health and natural news sources to learn more about the links to various diseases. I discovered new ways I could support my body and immune system with organic foods, herbs and natural remedies. I studied organic and biological farming methods. I discovered how different they are to conventionally grown food (produced with chemicals). I also realised the importance of creating an outdoor sanctuary to improve life balance and promote healing. Over the last 14 years, it has been an empowering and enlightening journey. I’m now fully recovered, fit and healthy. As my health returned, I knew I’d made the right decisions. Not just for myself, but for my family. I am now convinced of the medicinal value of herbs and nutrient-dense food in our everyday life. I also make sure we eat food that has been grown in soil with ALL the nutrients needed for plant and human health. I believe we need to not only avoid toxic chemicals but also provide our bodies with the minerals they are missing from our poor soils. If that’s the kind of food we eat, then our bodies won’t be nourished with all the minerals and trace elements we need to prevent illness. I wish I’d been taught this sort of life-saving information at school. 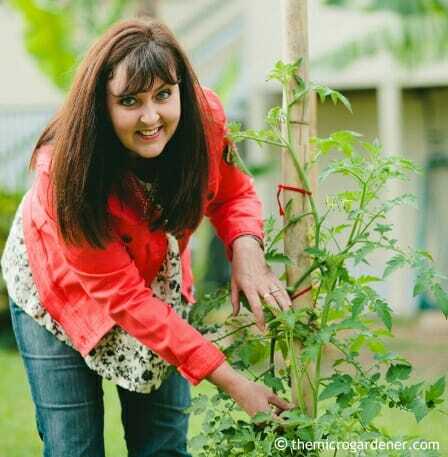 This has in part, driven my passion to educate children, teachers and parents through school garden programs and talks. It’s why I share my story. To ‘join the dots’ and help others discover how to improve their health and wellbeing. “We are what we eat.” No doubt you’ve heard this before! We only get one body, one life. So doesn’t it make sense to nourish our bodies with living foods? Seasonal, freshly picked summer produce from my back yard. A rainbow of colours on the plate, packed with nutrients and flavour. This journey led me to completing Certificates in Sustainable Agriculture and Horticulture. This helped me gain a deeper understanding about plants, biological farming methods and the link between soil and plant health and human health. Over the years I’ve connected with many farmers who grow a diverse range of crops for consumers. This has opened my eyes to the many challenges they experience. And also the diverse growing methods used including chemical, organic and biodynamic. Disturbingly, I have heard a very common story first hand from many conventional farmers. 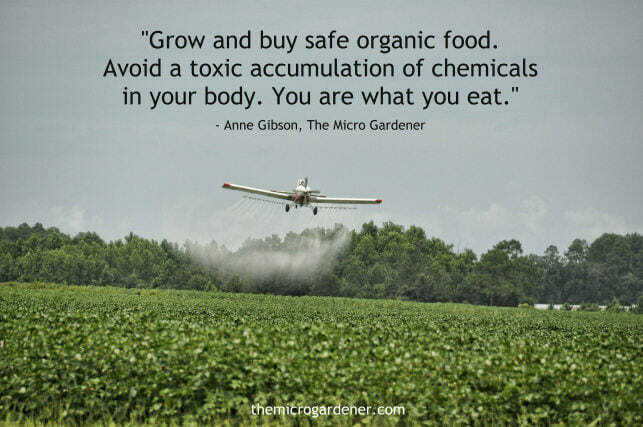 They grow their commercial crops with chemicals (for consumers) and make a living out of it. However, they grow food organically for their own family, in a separate plot. Personally, I have a problem with the ethics of this. Unfortunately, farmers using non-organic practices, kill the life in their soils. How? By drenching their soil and plants with herbicides, fungicides, insecticides and other toxic chemicals. Chemicals destroy the very asset (soil) they are stewards of and crops struggle to grow. Any wonder their crops need to be propped up with so many chemical fertilisers. This creates a vicious cycle with farmers getting in debt and spending huge amounts of money on more chemicals. These just further deplete the soil. Let alone the cumulative burden of chemicals that build up in the people that eat these foods. 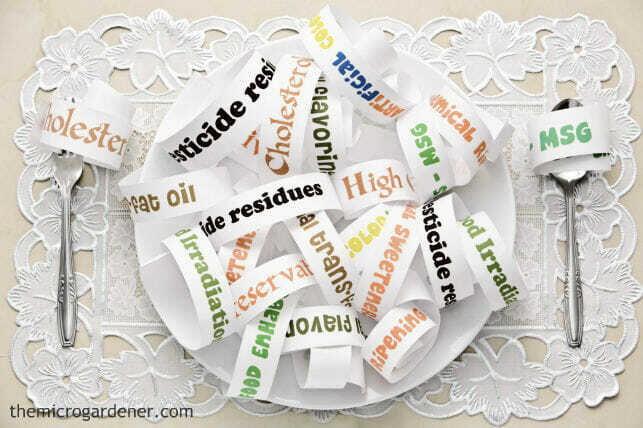 Systemic chemicals are inside the food. So you can’t just wash them off. No wonder we are a diseased society. Soils treated with chemicals are devoid of the wonderful ‘soil food web of life’, that organic and biodynamic farmers cultivate. Thankfully, more farmers are seeing the error of their ways and are converting to biological practices. As ‘urban farmers’, we need to cultivate healthy soil as a priority. To start taking back control over the quality of food we eat. I am just as concerned about the microbes in the soil beneath my feet, as the food crops I grow. This is one of the reasons I am passionate about sharing ‘WHY’ we need to work with nature rather than against it. Certified organic and biodynamic food crops are grown following the principles of caring for the soil, environment and human health. When I learned how conventionally farmed food is commonly grown – with a cocktail of chemicals that affect not only the produce, but also human health and the environment – I knew I had to share this information. I want to inspire people to take back some control over their food choices. I no longer wanted to buy conventionally farmed food. However, buying 100% organic produce can be expensive. I realised I had delegated responsibility for growing our family’s food to people I didn’t know! Our health had been impacted as a result. Things had to change! Maybe you are feeling the same? Connecting with nature is part of my every day routine – there is so much to be learned from being a silent observer. Empowerment and knowledge required an investment in myself. I studied, read and completed workshops and courses in Sustainable Agriculture and biological farming practices. I delved deeper into Biodynamic Agriculture, Soils, Permaculture, Composting, Worm Farming, Pest and Disease Management, Bee Keeping, Seed Saving, Organic Gardening, Tropical Vegetables, Medicinal and Culinary Herbs, Cheese Making and completed a Diploma in Australian Interior Design. These skills have enabled me to become a lot more self-sufficient, save money and make more informed and healthier choices. I hope my experiences will help you too. Having cancer at a relatively young age was a shock. I’ve learned you can prevent illness and rebuild your health by making wise choices. You can change how and what you eat, and where you source your fresh ingredients – just like I have. The body responds incredibly quickly to nourishing healthy food. With the globalisation of our food systems, a large percentage of the fresh food available is imported. Imported produce is subject to strict quarantine regulations. This includes chemical treatments and irradiation. [Download your FREE Irradiation Guide here]. Relatively few people actually buy locally grown food. So it’s almost impossible to find out the story behind what is on your plate. There’s typically a long distance between you and the farm gate! 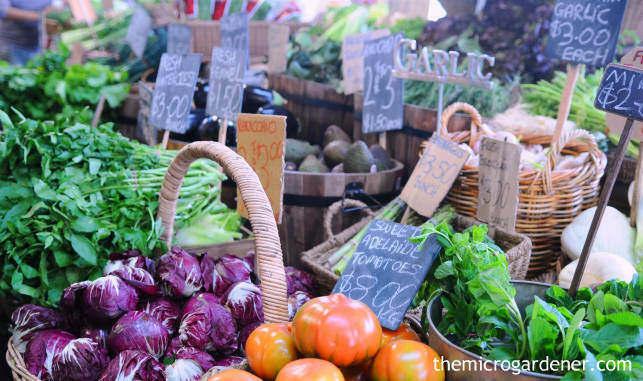 The food miles your fresh produce travels may shock you! If you don’t grow your own food, it’s hard to know when each variety is actually ‘in season’. 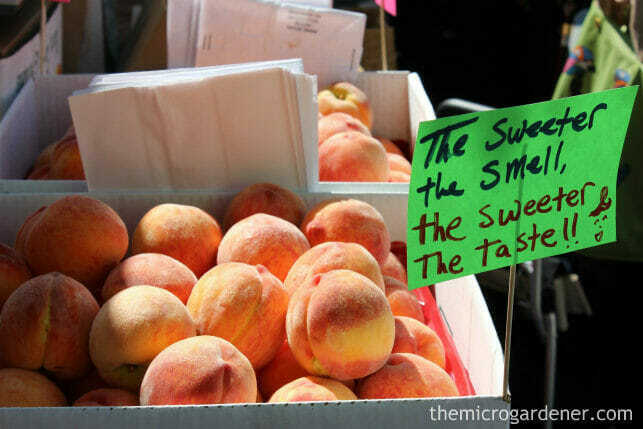 This makes it almost impossible to know when it is really fresh from a farm. So much ‘out of season’ produce is trucked and cold stored for long periods by retailers. It may look fresh, but by the time you buy it, the nutrient value is often minimal. Apples can be cold stored for months! Unless you know what you’re looking for, you could well be buying produce that left the farm gate weeks or months ago. Now I’ve learned what fresh produce really looks like and how to pick the best. Like me, many people have had a ‘convenience consumer’ mentality. I was actually part of the problem. Supermarkets don’t care about paying farmers a fair price for their crops. These retailers demand that it all looks perfect. I’ve heard this first hand. What happens to farmers hit by storms with damaged crops? No one wants to buy their imperfect produce! Sadly, many farmers dig a big hole and bury their whole harvest. It’s a vicious cycle. The farmers need to grow a lot of one type of crop to have enough to supply these chains. Then they need to harvest it all at once. So they rely on chemicals and unsustainable farming methods to meet these demands, just to earn a living. The flavour, nutrient value and aroma of fruits and vegetables are at their peak when eaten in season. Most shoppers are so used to seeing perfect produce, they are unlikely to buy blemished seconds. Even though they would probably eat that food, if it came from their own garden! Maybe it’s time to rethink our priorities! As consumers, we can vote with our wallets and purses. If we are prepared to change our purchasing thinking, and start to grow at least some of our own needs, our communities would be so much healthier. Support backyard farmers, community gardens, CSA’s (community supported agriculture), local farmers markets and organic growers who are caretakers of soils where you live. Shop locally and buy in-season produce. Organic food boxes are an easy way to start. Best of all, GROW YOUR OWN FOOD! If I’m not growing this myself, then who is? What methods have they used? Has this produce been grown with chemicals? Does it contain other unwanted additives? How far has it travelled (food miles)? How have the animals been treated? Is it contaminated with genetically modified organisms (GMO’s), heavy metals or other toxins? Is the packaging safe and environmentally-friendly? Where can I buy it packaging free? Is it local and in season or has it been cold-stored? And so my research and journey began … 14 years later, it continues! I’ll be frank. I didn’t like most of what I discovered. I dug deeper. What I found out was hard to swallow. It’s challenging to look in the mirror and face the facts. Some of the food choices I had been making for years, had been causing a toxic chemical overload in our bodies. It was really confronting. Things changed at that point and continue to do so. Product by product. One decision at a time. Supermarket produce is commonly pumped full of nitrates and sprayed with chemicals, rather than being rich in nutrients. That’s just the start of what is done to our ‘food’. 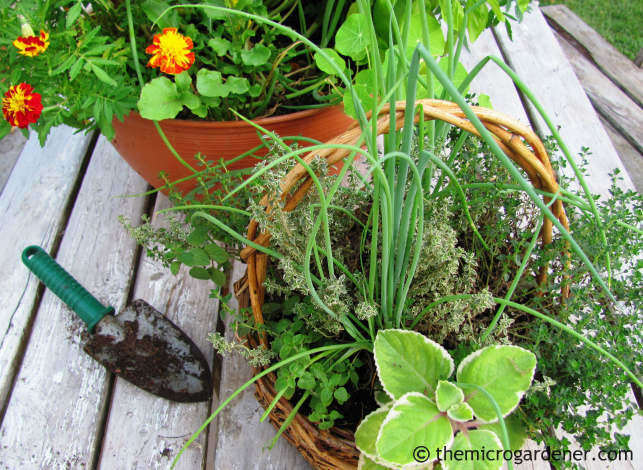 Read my article on why you should grow your own garlic and you’ll see what I mean. I now try to grow most of our family’s fresh food needs and eat a nutrient-rich plant-based diet. I subsidise with seasonal, local, organic or biodynamic produce from farmers who can tell me the story behind our food. Often backyard farmers! 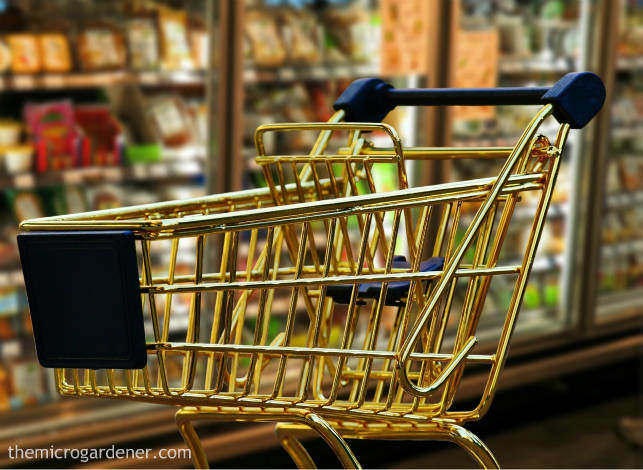 It’s amazing what you learn when you start asking your local grocer or farmer questions. I encourage you to do so! 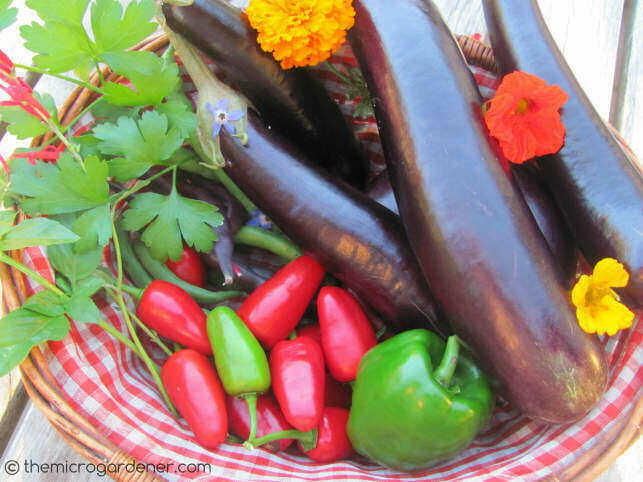 A basket of delicious homegrown produce shining with nutrients. Thankfully this change in lifestyle and choices, plus eating home grown nutrient-dense food, has helped me regain my health and wellbeing. This is a strong motivator to share what I’ve learned on my journey with others. I could have kept this knowledge to myself and used it just to benefit our family. But I realised I could also help others prevent illness and find joy in good health. A far higher purpose in life! At last count I’ve moved 16 times! I’ve lived on several acreage properties and places with very small gardens. I have learned that ‘micro gardens’ can be just as productive, much easier to maintain and are less time-intensive if we approach them the right way. I have lived in units and apartments, a townhouse, on small and large suburban blocks, a flower and foliage farm, and rented in places with limited space. Each of these situations presented their own challenges and opportunities. What I share with you via this website is what I’ve learned from my experiences. I share tips and tricks and money saving ideas. You’ll be inspired with ‘how to’ projects and photos of what you can achieve. I’ve had experience with growing beautiful flowers, natives, tropical plants, commercial bush tucker plants, and ornamental gardens. My passion though, is growing nutrient-rich food and helping you do the same. We now try to live a more sustainable lifestyle. I grow a diverse range of plants for culinary, ornamental and medicinal uses. I’ve learned productive techniques for growing nutrient-dense food, using Permaculture design principles and biological farming methods. I’ve grown healthy, high yield crops on a farm and sell our surplus produce. When you have lots of space, this is easily achievable. I’ve taken my experiences with organic farming and down-scaled the techniques. To fast track your success in an urban garden. Essentially, intensive urban farming or cropping in containers and small spaces. I share loads of creative ideas for maximising space. Even for people on the move – like renters, those in caravans or travelling. Or renting plots in allotments or community gardens. Highly productive, beautiful and functional gardens are achievable in small spaces. You can create your own backyard or balcony supermarket with some simple techniques. 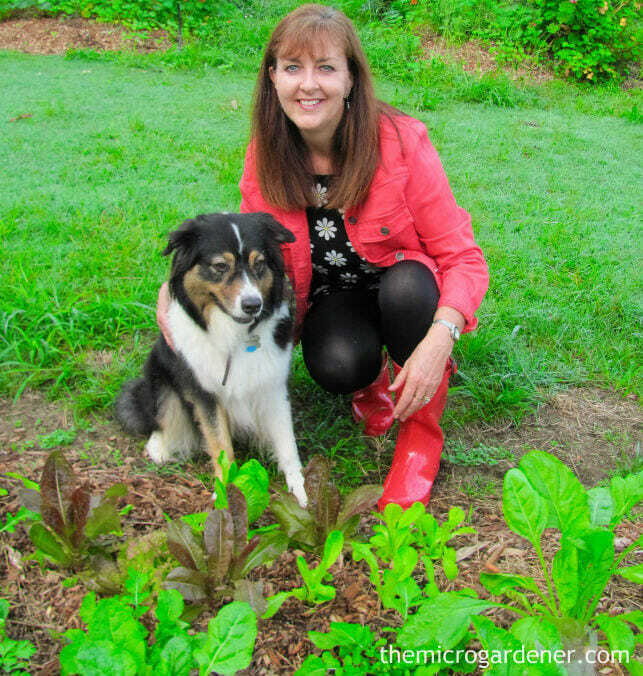 I now work part-time as a community educator, speaker, author and garden coach for clients. In my local community, I’m involved in Permaculture, seed saving and biodynamics groups. 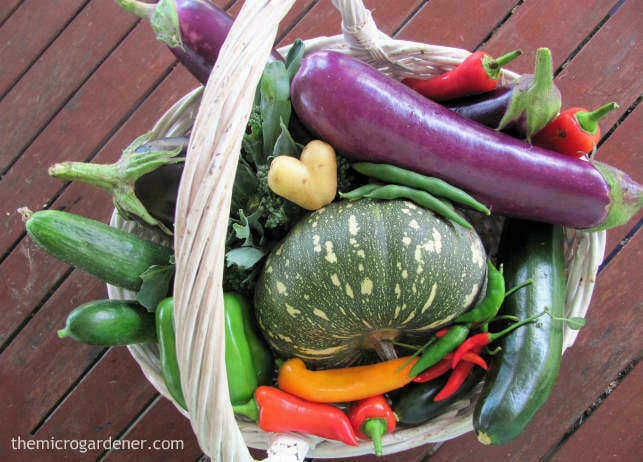 I’d love to help YOU discover how easy it is to grow an awesome food garden to benefit your health. To learn how to be more self-reliant and productive, for minimum time, money and energy. I write, edit and publish articles relating to growing healthy local food, DIY, sustainability and treading a little lighter on the planet. I am a contributing writer for a number of print and online publications. Contact me if you’re interested in a feature article for a publication/website. Or for a radio, podcast or webinar interview. Our food is grown with love. We reap the rewards of what we sow … including this little ‘love spud’ potato! I present educational workshops and speak at local community gardens, sustainable living events, garden expos, schools, garden clubs and libraries. I have written several eBooks and currently producing a series of gardening aids and guides. You can support my educational work with a purchase from my shop or sharing this website with your friends and by joining one of my eCourses. In August 2017, I am extremely proud to say I was both a Finalist and Winner of the Sunshine Coast Sustainable Business Woman of the Year Award. It’s a privilege and honour to be recognised for my work and this prestigious award. You can read more and watch my video in this media story. I am an ambassador for living sustainably and support sustainable products, initiatives and services. I believe we all need to take personal responsibility for the choices we make, products we use and become ‘conscious consumers’ to lighten our green footprint on this beautiful planet. I’m in the garden daily (every morning or late afternoons). Most likely with dirty fingernails, muddy gumboots, a basket and secateurs and often my dog Chandy. … It’s a place to get in touch with nature, learn, dig in the soil for hidden treasure and have loads of fun harvesting edibles, fragrant flowers and observe the wildlife. 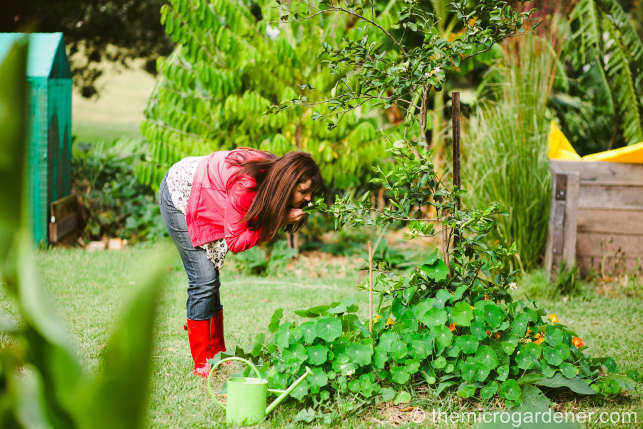 The Micro Gardener website connects with a community of like-minded urban gardeners, who want to learn how to grow nutrient-dense food, be inspired and live a healthier life. You’ll find a wealth of tips, ideas, problems, solutions and experiences in the comments on this site. 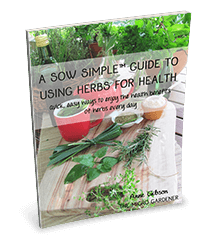 I would like to GIFT you a complimentary copy of my eBook “A Sow Simple Guide to Using Herbs for Health.” [VALUE $4.97] Just by joining my newsletter. It’s packed with quick, easy ways to enjoy the health benefits of herbs every day and contains excerpts from my new Book ‘Guide to Using Kitchen Herbs for Health‘. Take a look around this site and explore the articles packed with how-to information, projects and inspiring photos. I invite you to share your journey with me. 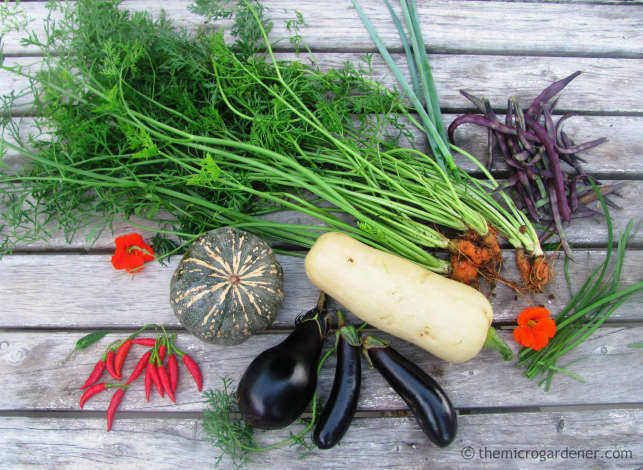 © Copyright Anne Gibson, The Micro Gardener 2010-2017. https://themicrogardener.com. All rights reserved.